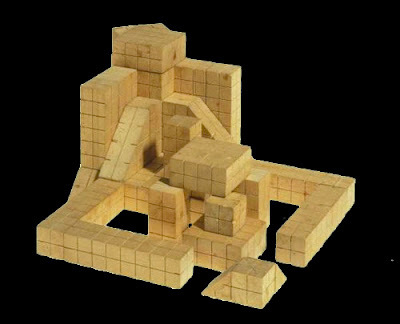 Swift's combination toy blocks for home amusement & kindergarten instruction via an ambitious project collapsing via Artefacts Canada. Description: 1 set of building blocks : wood ; various sizes in wooden box 23 x 16 x 6 cm. + 1 instruction sheet. ;"Patented March 22, 1870."